I love the long drive. I hope you can definitely correlate to me if I say music adds fuel to long drive. I enjoy every moment of the long drive if my favorite song is playing. 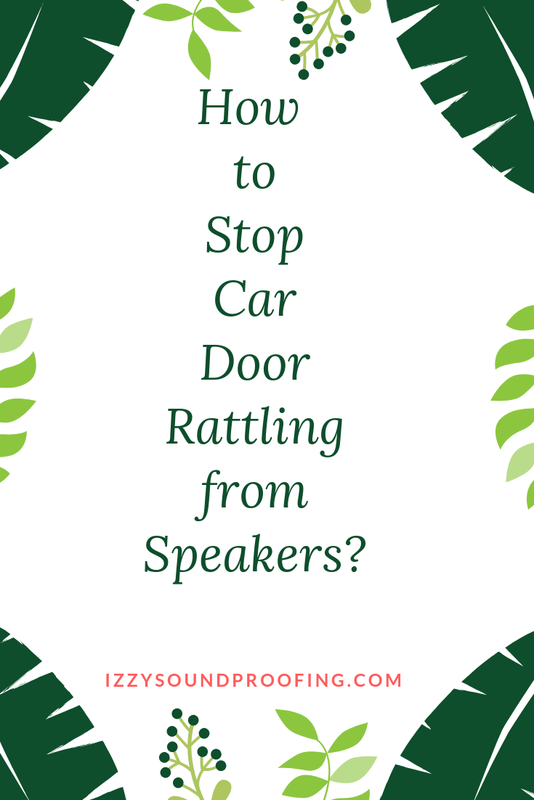 However, the ambiance can be completely ruined by the rattling of the vehicle door mostly caused by the speakers. This article can add loads and loads of values if you are looking for some innovative solutions. In this article, I will explain the process that you need to follow to stop car door rattling from speakers. The good news is that you don't have to spend a lot of money or time. I have not only struggled a lot to find the solution but also tried quite a few options before I found the best one. So, I have already put all the need effort. You don't have to waste time or money in the experiment rather you can directly implement the solution. Needless to say, I have done a lot of research, and the solution that I found to be sustainable and cost-effective is installing the sound deadening mats. Well, I will explain the step by step installation process that I have personally applied to my car. The first and foremost thing that you need to do is remove the door panel. Though there is numerous kind of tools available in the market to do so still I will recommend you to use a plastic tool. It will negate the possibility of scratch. However, if you haven't removed the door panel before then this post will be of great help. Once you have removed the door panel, search for a sponge-like object. It is referred to as a "vapor shield". The vapor shield plays a crucial role as it is responsible for preventing the water from entering the car. You have to remove the vapor shield as a part of the process. Once done, you will find a big hole that is specifically designed to help the car mechanic to easily access the window. So, this is the place where you have to apply the sound deadening mat. Remember, to buy a high-quality mat. Once you are done with the aforementioned steps, the next thing that you have to do is to apply a sound dampening mat. When it comes to soundproof mat there are numerous options. However, a few of them have great features at the budget price. I have tried a few options, but most of them weren't the one I was looking for. Finally, I found this product, and I can assure you it is one of the best on the market. Dynamat is the perfect choice for sound dampening the door. The thickness is perfect. Heat resistance and self-adhesive makes t very popular among the soundproofing enthusiasts and the car owners. Bonus Tip: Apply material with high soundproofing coefficient inside the mechanical hole can enhance the quality of the soundproofing. Now, you have to test the door for rattling. Play the music at a high volume and check whether you find a tangible difference or NOT. If the latter is the case, then you have to go to step 3 and add more soundproofing materials in the hole. Again test the vehicle door for the optimum output. In the last step, you have to replace the parts including the vapor shield and the interior door panels. Make sure that everything is done smoothly to avoid any possibility of damage to the car doors. 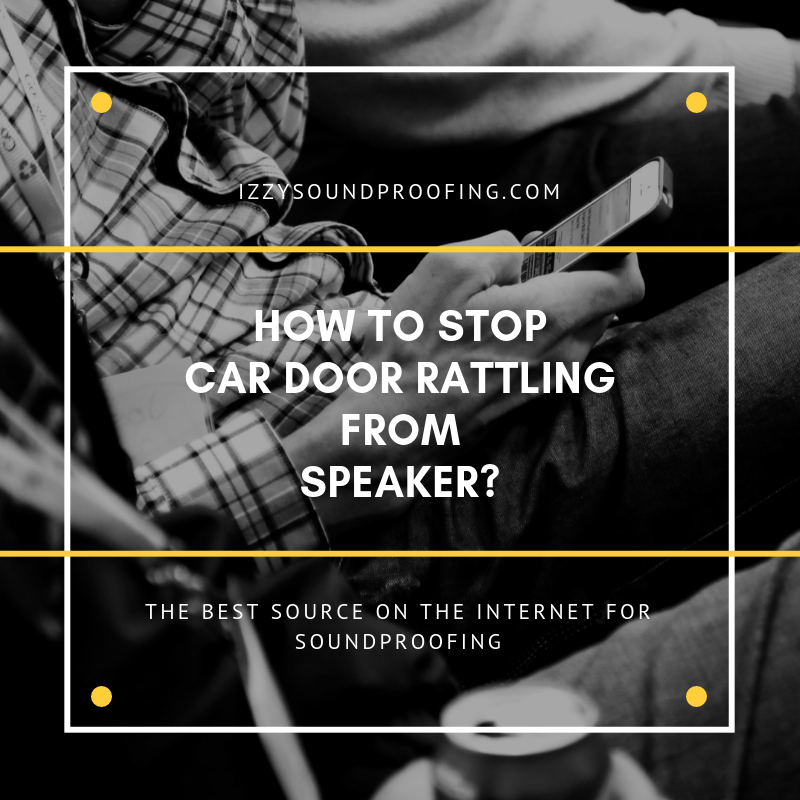 I hope this small yet informative post will definitely help you in resolving the rattling problem. I have personally applied this process. I can assure you that if you follow all the steps then you will definitely find a tangible difference. 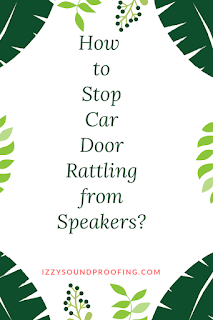 Let me know the method that you follow to get rid of car door rattling from the speakers.